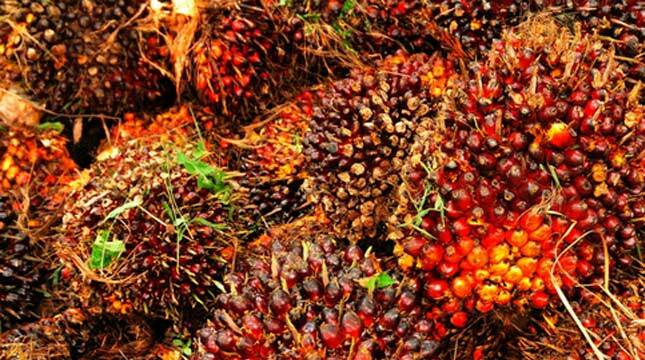 INDUSTRY.co.id - Pekanbaru - Downstream palm oil industry in Riau Province is getting worse as it continues to decrease in price. This week, the price of fresh fruit bunches (FFB) in Riau decreased by Rp61.02 per kilogram. Head of Section of Processing and Marketing of Plantation of Quality, Department of Food Crops, Horticulture and Plantation of Riau Province, Dedi Yasmono said, CPO price observed Rp7.562,88 with kernel price Rp7.328,17. "This week's price drop almost fivefold from last week's decline of only Rp13.66 per kilogram. The December 20 to December 26 period has fallen sharply by Rp61.02 for oil palm aged 10-20 years to Rp1,853.74," said Dedi in Pekanbaru, Wednesday (13/12/2017). He said the price of crude palm oil (CPO) this week has not improved due to the many negative sentiments from European countries. "The price of CPO is still depressed, which worsens the condition," he said. The following determination of Riau Province FFB Price of 20-26 December 2017; palm aged 3 years of Rp1,327.83; 4 year old oil palm Rp1.481,26; oil palm age 5 years Rp1.584,43; oil palm age 6 years Rp1.632,40; oil palm 7 years old Rp1.694,30. Furthermore, oil palm aged 8 years Rp1.747.21; 9 year old oil palm Rp1.804,17; oil palm aged 10 years-20 years Rp1,853.74; oil palm 21 years old Rp1.810,87.